Our clients rave about our services! PTC Pet Services came highly recommended by a neighbor and after using Tanya and Alisa I am now highly recommending them! What a great pet service Tanya!! Never worried about anything while we were gone and we loved reading and seeing pics of our cats on Fur Babies Diary! If you need someone to watch your pets, call Tanya and get scheduled. They are true animal lovers! Our dogs love Tanya and she loves them! Whenever we go out of town we use PTC Pets! The time and attention our dogs get is amazing! Even the elusive cats love her too! I love reading the pet diaries and here about there adventures while we are away! Am so pleased with PTC Pet Services.Very easy to communicate with through email, fb or phone! Quick response always. My husband and I are professional photographers and often have last minute scheduled assignments. I have come to rely on PTC Pets to step in when we have to be gone for long days. Completely trust them. Enough so that we have no qualms having someone come into our home to take care of and walk Alex (dog) when we have our elderly, blind mother also in the home. My dogs LOVE Tanya. I wouldn't leave them with anyone else. She treats them as her own. I have complete trust in her and love the way she care for my "babies" when I am away. This service is awesome! I got called into work last Thursday morning and called Tanya to ask if someone could walk my pet that day and she said she was fully booked, but she still managed to find someone to take care of my pet that day on such short notice. On top of that it was a cold, rainy day! Tanya is the most pet loving person I know. 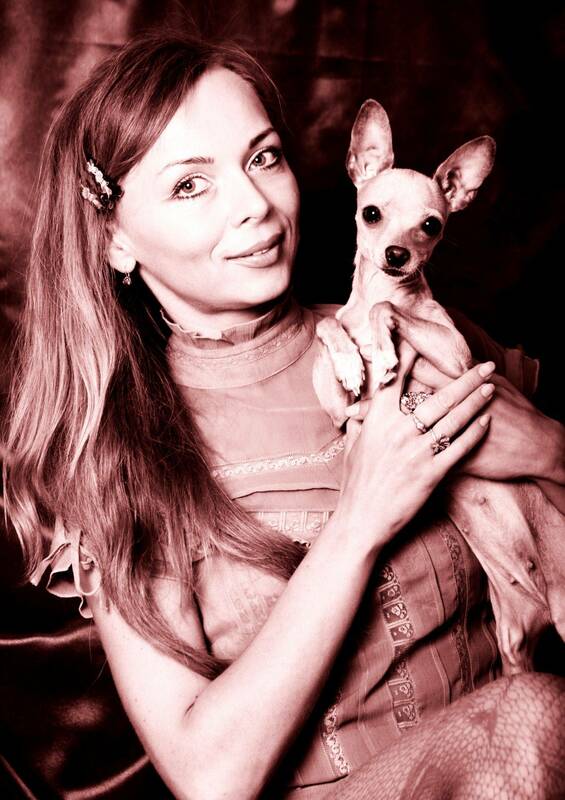 She is experienced with many different breeds and very knowledgeable about pet needs and behavior. She also understands that pets are part of your family and sometimes require a little extra TLC. It's nice to know that my pets are being responsibly and lovingly cared for when I am away. We are so blessed to have Tanya in our lives. She is the ultimate friend to our Lhasa Apso named Ozzie, and we have great piece if mind knowing he is being cared for when me and my husband are at work. She has gotten us out of many a jam and is always very accommodating. We know animals are her passion, and it shows in everything she does. Tanya & her team are WONDERFUL & reliable. We never worried & loved being able to check on our pups while we were away. Thank you Tanya! 5 star -- Absolutely wonderful!!! The best dog sitting service ever!!! The owner has 4 dogs of her own and treated my dogs as though they were royalty. I recommend PTC Pet Services for anyone who really cares about their animals. We recently moved to PTC from Atlanta, leaving our pet sitter of 18 years. Our family feels very fortunate to have found someone in our new community that loves pets and is so knowledgeable about their care! Our dog, Belle, is a very important part of our lives and Tanya is someone that recognizes a pet's place in a family. She will be our pet sitter for the next 18 years! Love, dedication, knowledge and experience come with each of Tanya's encounters. She is a wonder with her own dogs and great with others'. Bally loves to see her coming!! I highly reccommend PTC Pet Services. PTC Pet Services is the best pet sitting service I have ever used! They are true animal lovers and are committed to making sure your family pets are happy and healthy. Their online diary is so cool! They post pictures and give you a summary of each visit. Very reassuring! Tanya loves animals and it shows how she speaks about them and how she loves on them. We were away from home for two weeks and Tanya took such good care of ALL of our animals. Tanya was given the task of taking care of everything from our sweet cat to fish, turtles, frogs, salamanders, and a bearded dragon and she was willing and did a fabulous job. We will use her service again and will recommend her services! A huge relief to find such a caring & loving pet sitter for our older dog. Tanya took excellent care of Annie with her recent "issues" and we enjoyed the nice letter she left detailing her visits. I would highly recommend her to all my friends. Ready to meet your new pet sitter?